Someone asked me if I really loved you. 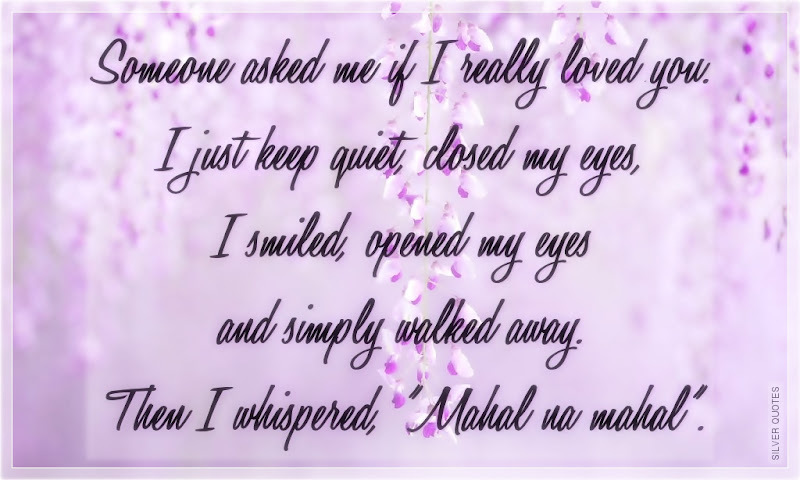 I just keep quiet, closed my eyes, I smiled, opened my eyes and simply walked away. Then I whispered, "Mahal na mahal".